We should enjoy food, without feeling frustration, eating when we are hungry, so we have a healthy mind in a healthy body. These are the principles that Ariane Grumbach, a self-employed nutritionist in Paris, preaches. And today Grumbach, who excels at the art of eating well, shares her tips for turning vegetables into a treat for adults and children alike. Ariane Grumbach’s career is rather atypical. 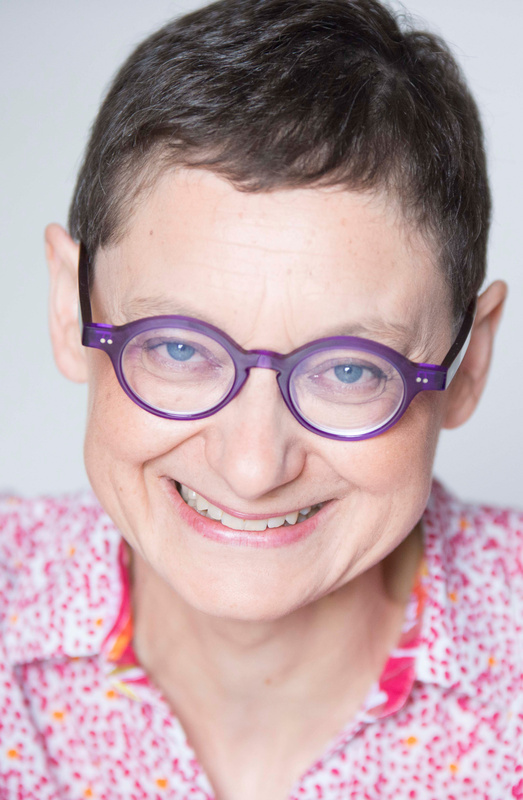 She graduated from the HEC and spent twenty years advising large French companies on how to implement change. Over the years, she developed great empathy and became a good listener, two qualities that, combined with her passion for food, prompted her to go back to school and become a dietician. Nowadays Ariane shares her interest in eating well “without following a diet” in her practice in Paris, as well as in her book, on social media and on her blog, L’art de manger, which has a large following. According to Ariane, food touches upon so many different things, including conviviality, psychology, sociology, health, fine dining and economics… She shared her advice on vegetables with us in her usual straightforward manner, during a very fast-paced conversation! CREDOC recently revealed that people in France are eating less fruit and vegetables. What do you think about this? Making people love vegetables again is definitely a challenge for the next few years! Reminding people of the main principles and the guidelines is not just not enough to change people’s eating behaviour, as the CREDOC study revealed. There are plenty of obstacles for fruit and vegetables. There is a widespread belief that they are difficult to prepare, not good, too expensive… And people don’t immediately see the benefits of eating them in the short term. This phenomenon, which appears across all social classes, is even stronger among the younger generation, and is especially pronounced among the lowest social classes, because of the economic crisis. The challenges for fruit and vegetables are social, economic and cultural, all at once. So what is the solution then? 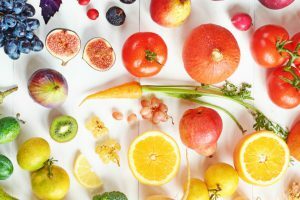 Should we teach people more about fruit and veg? The key times of our life that are most conducive for “learning” about vegetables are pregnancy and early childhood. This is a good time to learn how to eat healthily and even enjoy it. But any time is good! The main problem is the lack of information; especially about how easy vegetables are to cook. When you know how to cook, you’ll see that eating vegetables is not that difficult and that preparing them doesn’t take more time. The main thing to remember about vegetables, and about a more varied diet, is to take one step at a time, without immediately wanting to achieve an ideal. What advice do you have for parents to ensure the whole family will eat vegetables? The only way to achieve this is to make vegetables tastier, so people will really want to eat them by showing them how, by eating them often and ensuring they are a familiar sight on the table. 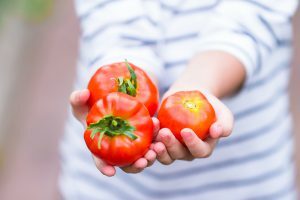 Ideally, the association with vegetables should cover the entire chain, from the field or vegetable garden to the market and then to your kitchen, so family members can gradually discover a vegetable and learn to like it. 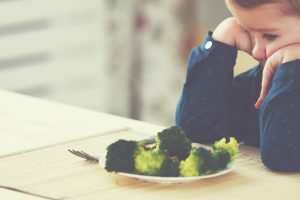 Usually people make the mistake of classifying vegetables in a category (the healthy vegetable that children “must” eat at all costs) without looking at the emotional aspect. I think we should avoid this pitfall, so mealtimes don’t become a source of stress and tension. You should also remember not to create an association between having to eat a vegetable to receive a reward (dessert, sweet, chocolate) because this only accentuates the unappealing and unappetising aspect of vegetables in a child’s eyes. 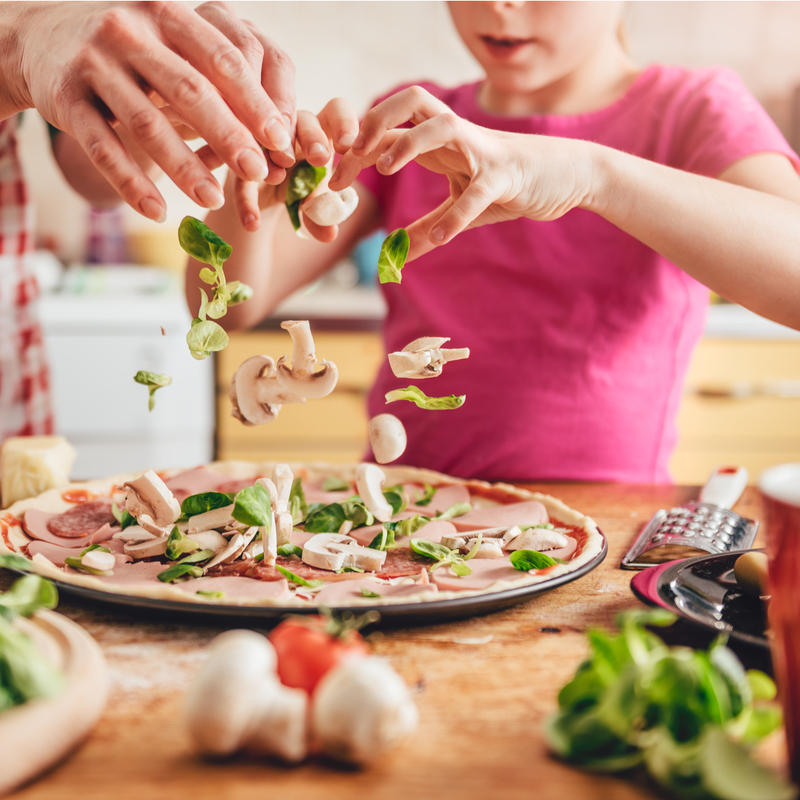 The best attitude for parents, I think, is to encourage children to try a mouthful of vegetables and to do this over and over again, with a bit of variation of course (combining them with starchy foods, in the oven with cheese or raw or cooked in a variety of ways). You should also think of vegetables as “individuals”. While children may like some vegetables, they may find others less appealing. The main thing is to understand why (the texture, what they look like, smell or flavour) and identify what is putting them off. Always remember to take things in your stride instead of dramatising things and simply pursue your strategy to avoid food neophobia. As for parents, they should re-educate themselves about vegetables, rediscover them, cook them and remind themselves what they are all about by eating them often. This re-education can take place in various ways, with soups, in purees, or by combining them with starchy foods (bread, pasta, potatoes, pizza) or in vegetable-based dishes (curry, tagines). The main thing is to cook one meal for everyone, where everyone eats a portion depending on how hungry they are and whether they like it or not. How can vegetables be cooked quickly and simply? Eating well doesn’t take a lot of time! But you do need to be organised. Some dishes are easy to cook (pasta with vegetables for example. You quickly sauté the sliced veg while cooking the pasta). 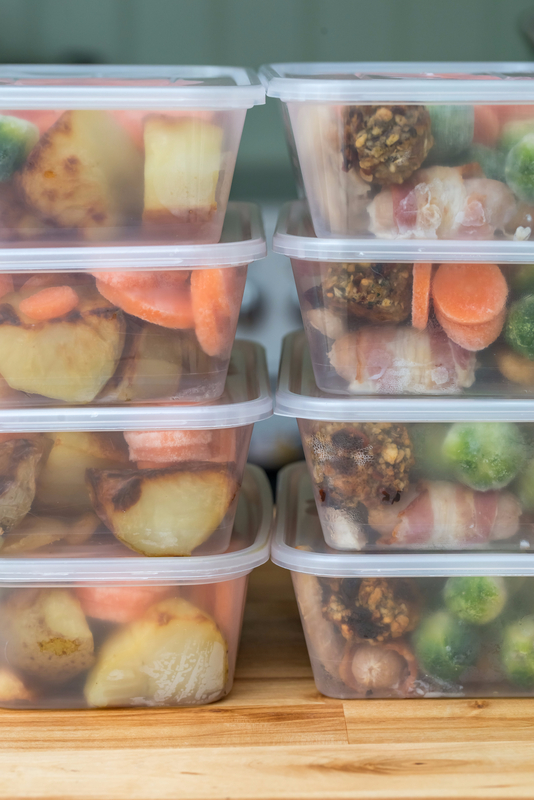 Others require thinking ahead and preparing larger quantities at the weekend, which you can then portion or even freeze and eat at a later date. When cooking in the evening, keep things very simple: cook them quickly or reheat your vegetables. Fresh, frozen, in tins… What are the advantages of eating vegetables in all these different forms? Vegetables that are ready to use are obviously a great help. Some options make life easier, alongside fresh vegetables, because they are easy to store and you can save time when preparing them. They include frozen, tinned, raw and ready-to-use vegetables as well as raw vacuum-packed and pasteurised (raw and cooked) vegetables. Vegetables that are ready to use have another advantage: when served in the right amounts, at the right times, they reduce food waste, which tends to be a problem with fresh vegetables. A tip that works well: prepare the fresh veg you bought at the weekend early in the week and keep your frozen/tinned vegetables for the end of the week. This also allows you to have an optimal nutritional intake of vegetables throughout the week. Look for “vegetables” as such, that ready to use and require only a little cooking, so you can control your salt and fat intake. The main thing is to find the right balance between your time, your budget and your tastes. With age, appetite decreases and so does the appeal of vegetables. How can we ensure that the elderly eat an adequate amount of vegetables as part of a balanced diet? At home, the practical side (frozen, tinned…) of vegetables is important to ensure the elderly consume them. At the time, don’t focus too much on vegetables. Instead make sure the calorie and protein intake is adequate to avoid undernutrition, remember that the water intake should also be sufficient (vegetables can also help achieve this). Soup, on the other hand, is not the most sensible choice for eating vegetables. While it fills you up quickly, it is not very nutritious (unless it is enriched).